Missouri Valley Vet is proud to serve large, small and exotic animals in Bismarck, Mandan, and the surrounding areas. Our veterinary practices are staffed by 11 licensed veterinarians and their well-trained team of licensed veterinary technicians, veterinary assistants, and customer service representatives. 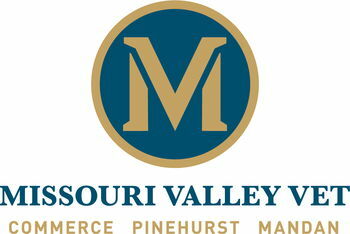 With a history dating back to 1981, Missouri Valley Vet has grown consistently as an established veterinary provider. Throughout the last 37 years, we have expanded our practice to include a second location in the Pinehurst development area with the addition of a third location in the neighboring city of Mandan. The practice has changed from a rural, mixed, practice to the high standards of care we provide today with the veterinarians concentrating more in their areas of interest.